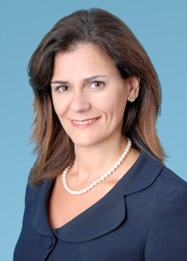 Rosa M. Abrantes-Metz has been with New York University Leonard N. Stern School of Business since 2009. Her primary areas of research are antitrust, financial regulation and financial markets, conspiracies, manipulations and econometrics. Professor Abrantes-Metz is also a principal at Global Economics Group where she provides consulting expertise in the same areas. She is a former economist for the Federal Trade Commission. Professor Abrantes-Metz has published in peer-reviewed journals such as the International Journal of Industrial Organization, Applied Economics Letters, the Journal of International Arbitration, and the Journal of Banking and Finance, the Journal of Pharmaceutical Finance, Economics and Policy, with forthcoming publications in the Journal of Futures Markets and the Journal of International Money and Finance. Her work has also appeared in various trade publications. She is a co-author of the chapter on the role of the economic expert in proving conspiracy cases under federal antitrust laws in a recent volume published by the American Bar Association. In addition she has contributed chapters to other books on international arbitration with a focus on event studies, and is a co-author of the chapter on corporate governance and compliance forthcoming in the next Handbook on Antitrust Economics. Professor Abrantes-Metz's work has been featured in the press such as the Wall Street Journal, Financial Times, and Investor's Business Daily.